It's the last day of My Favorite Things August Release Countdown! 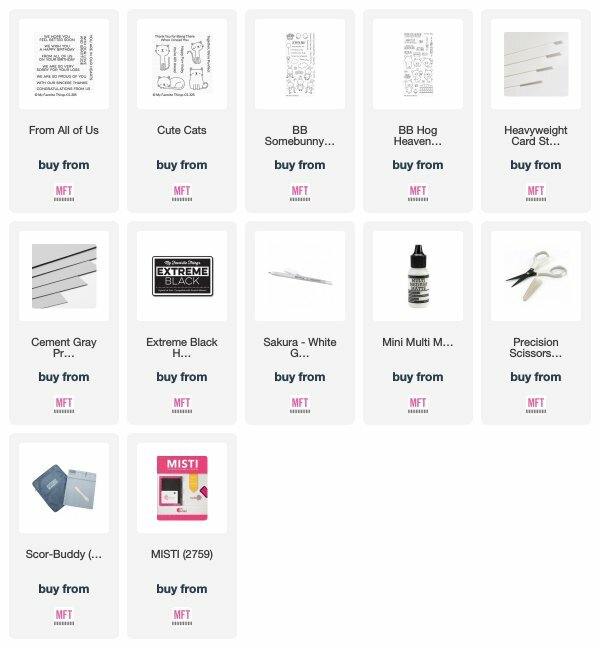 at 9PM EST in the MFT Store! someone else or even a group to share in the card/project you've designed. It's easy peasy now with this sentiment set! line sentiment was cut apart and turned into a one line sentiment. with a black gel pen and highlights on their noses were added with a white pen. This card is just delightful!!!! 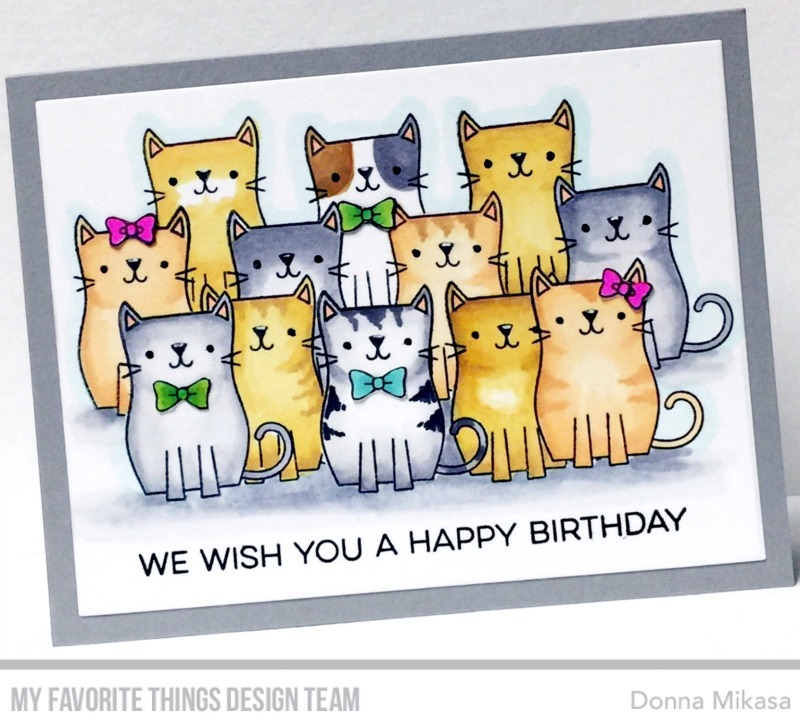 aww - you can never go wrong with a cat card! Speaking as a "cat person," I love this adorable card. 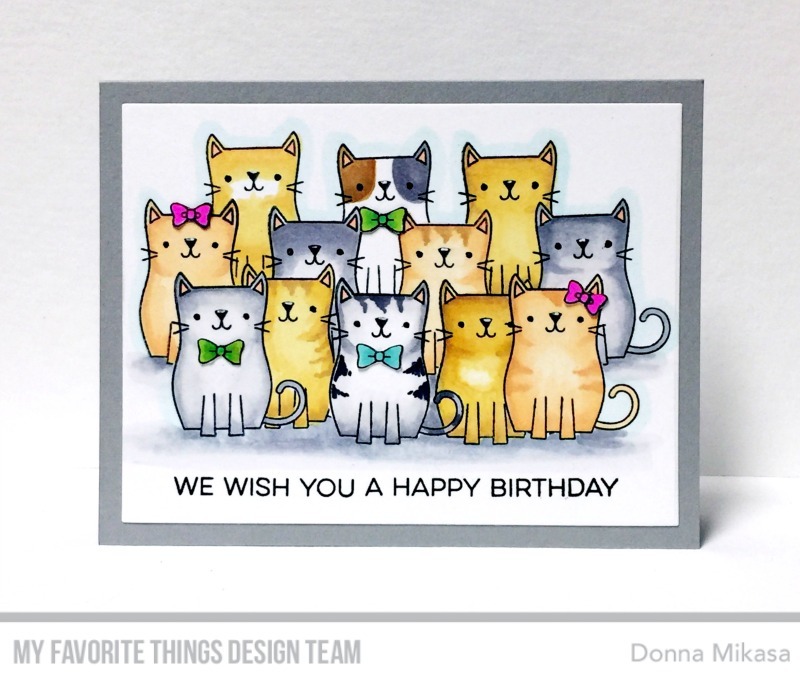 This is too stinkin' cute, Donna! I love how you colored the kitties and how you added elements to jazz them up...such a fun card!